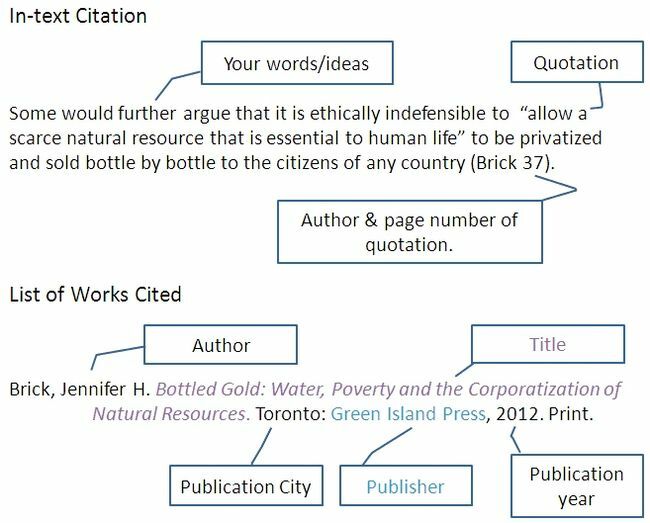 You will need to cite each source that you used twice: first in the text of your paper at the exact point where you quote or paraphrase someone else's work. This is called an "in-text citation," "footnote," or "endnote" depending on the style you are using. You'll be inserting the citation a second time in your list of Works Cited, References or Bibliography. If you need to cite something which is not covered here, check out the relevant style guide for specific assistance or contact the Library for more help. You will also find further helpful hints in the other sections of this guide.